In a late article on the Windham case, The Times took occasion to give its innumerable readers one of those half-contemptuous, half-philosophical discourses in which it sometimes delights to assume to sweep away difficulties of all kinds, especially legal difficulties; and to show that, by the help of a little of what is rather lightly called common sense, everything might be set to rights which appears at first sight startling or unjust. The general drift of the article was this:—Mr. Windham's Commission of Lunacy is altogether an absurdity, and a scandal to the administration of the law. We are all, more or less, mad. Madness is entirely a question of degree. Eccentricity is only a mild form of the disease, and the difference between lunatics in the full legal sense and others is simply this—that lunatics carry their eccentricities so far that it becomes, on the whole, desirable, for themselves and the public at large, that they should be shut up. Madness being so simple a matter, how absurd it is that the process of ascertaining the fact of its existence in a particular case should be so elaborate and expensive. Means are found for settling the question in a very summary and, on the whole, satisfactory manner in the case of the ordinary lunatics who fill our county asylums. Why should the case of a gentleman be different? and, above all, why should a process be adopted in his case which may, as the Windham inquiry proves, result in dividing amongst the lawyers the whole of the property, his capacity to manage which is the point at issue? All these questions were pressed with the triumphant air which is natural to a writer who thinks it impossible that his questions should receive an answer. This cavalier and presumptuous way of treating really difficult and interesting questions is one of the principal drawbacks to the utility of journalism. It tends to make people unreasonably discontented with the world in which they live, because it leads them to suppose that a much larger proportion of the evils under which they suffer are referable to the clumsiness of institutions, and a much smaller one to the inherent defects and difficulties of human nature, than is really the case. Fair consideration of the subject will show that, in truth, there is little to complain of in the arrangements made for ascertaining whether or not people are lunatics, and that both the enormous trouble and the immense expense of trying such questions out, are inevitable results of the nature of the subject-matter of inquiry. The subject falls under three heads—the fact to be proved, the evidence by which it is to be proved, and the expenses of the process of proving it. First, as to the fact to be proved. The question before Commissions of Lunacy is always, or at least generally, this—Is the person in question so affected by disease that he is mentally incompetent to manage his person and his affairs, both or either? To say that this is a question of degree, that all men are, to some extent, mad, that eccentricity is madness, and that some rough and ready way of drawing the line at which sanity ends and madness begins ought to be devised, because it is difficult to hit upon any precise and available definition of madness, is an unwise, and, indeed, in an important sense, is a very dangerous doctrine. In the first place, it is altogether false in fact. It is easy to imagine cases in which a man might carry eccentricity to the utmost, and yet be absolutely sane. Assume, for example, that a man had some strange taste about eating or drinking, such as a positive antipathy, say, to roast beef. Suppose that he could not endure the taste, the smell, or the sight of it, and always left the room when it appeared, would any one say that, if in every other particular the man were perfectly consistent and regular in his conduct, this peculiarity either constituted madness or formed a step towards it? Such a notion is monstrous, and its prevalence to any considerable extent would be a great evil, for it would tend directly to discourage anything like freedom or originality of character. Mr. Mills argues elaborately, in his Essay on Liberty, to show how great the benefits are which eccentricity confers on mankind; and without going to quite the same length, it may be said that it is at once a poor thing, and hasty and unjust, to describe madness in terms which identify it in principle with all the qualities by which eminent men are distinguished from the mass of mankind. If eccentricity is madness merely because it is uncommon, is genius madness? Is a man mad because he is a great poet, or painter, or author? Or, again, is physical deformity a sort of madness? It would seem so, if mere strangeness is the test; for it is quite as uncommon for a man to have more or fewer fingers or toes than his neighbours, as to have peculiar habits, tastes, or powers. No doubt the exertion of trying to affix a clear meaning to such a word as Madness is considerable, and it is possible to represent all inquiry on the subject as fruitless, and as leading to mere metaphysical subtleties, unavailable for practical purposes; but this is an objection which it is possible to urge, and which continually is urged against all accurate thought whatever on all subjects, and it is impossible, if the subject is to be fully understood, to avoid some consideration of the question, What does madness mean, and what is it which people inquire into when they inquire whether or no a man is mad? 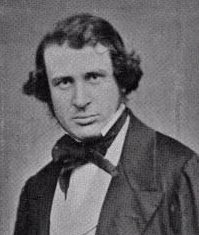 It may be all very well for a smart popular writer to say that all men are more or less mad, and that whether or no a person is to be deprived of the control of his person and property is merely a question of degree; but if such a principle were really admitted and applied to the practical business of life, the consequences would be terrible. It must, no doubt, be admitted, and the admission explains the origin of such statements as that of The Times, that madness cannot be defined; but it is the common characteristic of almost all fallacies to confound together the words of which language consists and the things which those words denote. It does not follow that madness is not a real specific thing because it never has been defined, any more than it follows that a tree is not a real thing because the word Tree has never been defined. It would not follow that the thing denoted by the word Madness was not a distinct thing, even if it were admitted not only that it never has been, but also that it never will be defined. What is a "reasonable doubt," whether or not a man is guilty of a crime? It is such a doubt as ought to induce twelve men selected in a certain manner to hesitate in deciding that he is guilty. What is meant by the word ought? It means that it would be generally beneficial to society if such doubts always existed under such circumstances. And what, it may be asked, do you mean by "generally beneficial to society?" The answer to that question would involve a whole theory of the scope and objects of human life. Thus, to give a definition of a reasonable doubt, a whole system of morals would be required; yet who would deny that some doubts are reasonable and others not—that it would, for example, be utterly unreasonable to doubt twelve impartial witnesses who all swore that on a previous day they saw a given man at a given place, whilst it would be perfectly reasonable to doubt one deeply interested person who said the very same thing, when he had a strong motive for saying it. The inference from this is, that the bare fact that language does not supply an exact description of a particular class of objects, with which they may be readily compared, is no proof at all that the objects denoted by particular words, such as "madness," or "reasonable doubt," have not in fact any distinguishing characteristics. The true mode of inquiry in all such cases is to try to find out by observation and comparison what those distinguishing characteristics are. It is a very bad service to the cause of exact thought, or practical utility, to insist upon the inadequacy of our current language as proof that the problems to which it points are in themselves insoluble. What, then, is madness? In the first place, it is perfectly certain that it is a disease, and a specific—though, no doubt, an obscure and mysterious— disease. What then is a disease? Without affecting to give a scientific definition of it, the following description may be taken as not incorrect:— The human body is a mass of matter of various kinds, disposed in a particular and most marvellous manner. This matter lives and moves. What these words mean we know most imperfectly; but at all events they denote this, that the different members of the body, the different parts of the matter of which it consists, have, to use the common expression, appropriate functions. They act upon each other in certain ways, and the general result of that interaction is the production and preservation of a state of things which we call health and life. If any part of the body acts not in this, which may be called the normal, way, but in some other abnormal way, and if the result of that is to produce pain, the incapacity of other members, and ultimately death, that abnormal action is a disease. Such is the body, and such its diseases; but what is the mind? Here again we come upon a mystery of which no one has the solution, perhaps not even the key. What the words Mind, Soul, or Spirit denote, it is impossible to say. There are good reasons for believing that they denote something which may and will exist independently of the body as we see and feel it now; but though this is the most important of all beliefs, and gives life its whole dignity and interest, it must not be allowed to obscure this other truth, that the operations of the mind are at present known to us exclusively through bodily functions. The expression of the face, the gestures of the body, the sounds made by the organs of speech, the impressions made on the eye by written or printed words, and other processes of the same kind, are the means, and the only means, by which the dearest friends can trace the operations of each other's minds, although they may feel convinced beyond the possibility of a doubt that what they are tracing is the operation of a mind, and not of a mere material organ. Not only do all the operations of the mind—thought itself included— pass through the bodily organs, but they have another quality, which has often been contested, but which, nevertheless, unquestionably belongs to them, and that is regularity. [On the regularity of mental operations, and on the consistency of this with morality and responsibility, see two Essays on the "Study of History," in the Cornhill Magazine for June and July, 1861.] Men think, feel, and act, not at random, but according to certain principles. They acknowledge the validity of the same kind of arguments; they are pleased and pained by the same kind of occurrences; they keep in view the same sorts of objects, and try to attain them by the same sorts of means. This regularity is, no doubt, consistent with the utmost variety—a variety so infinitely complicated and diversified, that the very existence of the regularity which underlies, and enables us to understand it, has been and still is most pertinaciously and foolishly denied. Some men are wise, some foolish, some strong, some weak, some good, some bad. Their various tastes and powers are mixed up in innumerable combinations, and produce such an infinite quantity of individual peculiarities, that no two men are precisely alike, and that even those who resemble each other most closely (brothers, for example) interest us almost as much by their strange contrasts as by their equally strange resemblances. All this variety, however, depends upon the fundamental resemblance out of which it grows. If that did not exist, there would be no variety; for each man would be an isolated creature, independent of all the rest; and we should no more think of remarking on their differences than we think of observing that Homer's Iliad is very different from a watch-key, or that there is no resemblance between Westminster Hall and three o'clock in the afternoon. One or two illustrations of the substantial identity which is covered by this circumstantial variety, will explain one relation between them. All men dislike physical pain; yet no two men view it in precisely the same light, or behave in reference to it in precisely the same manner, or feel it in the same degree on the same occasions. A brave man will defy it, a timid man will crouch before the threat of it. A weak woman will often bear it with the sweetest resignation; a strong man will constantly rage and fret under it, with an utter forgetfulness of decency and self-respect. A mustard-poultice will be absolute torture to some persons in some states of health; the extraction of a toenail will be matter of indifference to others, or even to the same person under different circumstances. So, again, all men love themselves; but with some this self-love takes the form of the vilest selfishness. With others, it is the foundation of the most exalted goodness and the most sublime self-sacrifice, from a disinterested wish for the welfare of others; and between those two extremes are an infinite number of shades of temper and behaviour, all of which equally proceed from the common principle of self-love. It is conceivable—though as yet nothing of the kind has been done, or even attempted—that by careful investigation a complete account might be given of the common principles of human nature, so that men might be able to count up the roots out of which grow the infinite variety of human actions; but, though this has not been done, and probably never will be done completely, the general truth that there are such things as principles of human nature, and that those principles are, as far as we know, permanent and universal, is as well established as any other fact whatever. This fact is enough to enable us, not indeed to give a definition, but to form a very distinct conception of what we mean by sanity and insanity. We do not mean by the one—as the writer in The Times seemed to think —deviation in any direction from the dead level of human nature. There is this, amongst other conclusive objections to such an opinion, that no such dead level exists. Human nature is infinitely various and complex, and it would be utterly impossible, if it were desirable, to specify any level on which all sane men are bound to stand. On the other hand, we do mean such an insensibility to the common principles of human conduct, caused by bodily disease, as renders a man incapable of managing either his person or his property, or both (if the question arises on a Commission of Lunacy); or of knowing right from wrong; or of voluntary action (if the question arises on a criminal trial); or of understanding and deliberating on the subject of a particular transaction (if the question arises in a specific civil suit—such, for example, as the validity of a contract or will, which is disputed on the ground of the insanity of the contractor or testator). Each of the parts of this description—for it has no claim to the precision of a definition—of the notion of madness which lawyers have adopted for practical purposes, deserves attention, and deserves also to be attentively compared with the foregoing account of the nature of disease and the nature of human conduct. In the first place, there must be an insensibility to the principles of human conduct. The general nature of these principles has been sufficiently explained already. The important thing to observe is their application to human conduct. Their recognition and practical adoption for the purpose of guiding conduct is perfectly consistent with any degree either of singularity, or of wickedness, or of folly. A man may have a sublime genius which raises him above the common level of humanity; he may, on the other hand, be a prey to wretched superstitions, like the fetish worshippers in Africa, or the believers in rapping spirits in our own country; he may be able, like the calculating boy, to extract at sight the cube root of a number expressed by eight or nine figures; or he may be unable, from sheer stupidity and inattention, to do a sum in long addition: in each of these cases he would be equally singular, and in each he might be equally sane, because he would proceed upon the same general principles of thought and action, though he would apply them in totally different ways, and with a different degree of facility. For example, the reason why the man of genius writes a poem or paints a picture is, that he delights in the exercise of his faculties, just as a doctor or a lawyer likes advising his clients, or patients. Not one man in a century feels that particular delight which Shakspeare felt when he completed King Lear; but millions of men every day feel an analogous satisfaction of an humbler kind. Few people in this country would worship a figure made out of fish-bones and old rags, but thousands would feel afraid to cross a churchyard at night; and the awe of the unseen, the feeling that we are but atoms in an infinite universe, which may contain innumerable powers capable of hurting us, of which we know nothing, is one of the qualities which distinguish men from brute beasts. Thus it is not mere singularity in any shape—not the mere uncommonness of a man's proceedings—which shows that he does not act on the common principles of action, any more than it is mere peculiarity in other things that makes him strange. A man might, and, in fact, all men do differ, possibly, from every one else in the world — certainly from almost every one else—in innumerable particulars, without being at all extraordinary. Suppose, for example, there were a man who had a complexion slightly differing in shade, a voice slightly differing in accent, hair slightly differing in colour, and also in the number of the individual hairs, from all other men in the world, he would not of necessity be at all a singular man. A person who precisely resembled, say, a million other people in every one of these and innumerable other respects, but who differed from the rest of the species in perspiring like a dog, through his tongue only, would be far more remarkable. Having pointed out what is not madness, it is desirable to inquire what it is. It is an insensibility to the general principles of human nature caused by disease. Dislike to pain is one of these principles. Suppose the case of a man who obviously felt pain, but, without any assignable reason whatever, did not avoid it. Suppose he were to stick splinters under his nails, to gash himself with a knife, to handle burning coals, &c., not from fanaticism or asceticism, like the Fakirs; not as a proof of hardihood, like the North American Indians; nor from vanity, by way of displaying some abnormal bodily insensibility to suffering; but simply in a casual, unaccountable manner. Suppose that after inflicting the injury he gave all the signs of suffering, shrieking and writhing and so forth, but as soon as he had an opportunity, did the same thing again. Every one would say that this was a most unreasonable act; and if it became ever so common, if it became epidemic, it would be regarded (even by those who did it, if they were sensible on other points) as an epidemic madness. Such was the view actually taken of the practices of the Flagellants, and of the dancing and preaching manias which have occurred in different parts of the world at different ages. These cases prove that an act is not mad because it is uncommon, or sane because it is common, but because it does or does not denote an insensibility on the part of the agent to the common principles, practical and speculative, of human nature. Next, this insensibility must be caused by bodily disease. There are principles, both practical and speculative, to which a man may deaden himself without madness, simply by continued neglect of them. For example, the general principles of self-love and benevolence, as applied to moral obligations, are the great leading principles by which all men ought to govern their conduct, and by which most men do so to a very considerable degree; but it is conceivable that, by a long course of wickedness and folly, a man might so lose the habit of acting upon them as to become practically unconscious of their existence, and to act as if there were no such things in the world as right and wrong. This would not constitute madness, but only desperate and hardened wickedness, which is altogether another thing. If, however, a man who had always acted well up to a certain point, were suddenly to fall ill, and if, after his illness had subsisted for some time, he were to become apparently altogether unconscious to all the principles which he had acted on before, and were to show no sense of the difference between good and evil; and if it were an observed fact than men who suffered under such illnesses often fell into such a state; it would be highly probable that in the particular case the madness caused the insensibility, and that it was a case of madness, and not of wickedness. Lastly, the question of degree has always to be considered when madness is made the subject of legal inquiry. It is not enough to show that a man is mad in general, but, before the fact of his madness can be of any legal importance, he must be shown to be so mad that in his particular case certain special results have actually followed. The best established and most familiar illustration of this is the case of crime. It has been laid down repeatedly, and is now perfectly well settled, that when a man is accused of a crime, the questions to be considered are these: Did he break the law? Did he know he was doing wrong? Could he help it? If these three questions are answered in the affirmative, the question whether he was or was not sane becomes immaterial; and, indeed, at any stage in the inquiry, it is relevant only because it affords evidence by which the jury may be guided in answering the other questions, or some of them. Thus the three questions which arise in considering the sanity of any particular person for any legal purpose are these:—Does he act and think upon the same general principles as other men? If not, is his insensibility to the principles on which other men act and think caused' by bodily disease? If so, is the disturbance so great as to produce the effect required to be produced with reference to the particular subject matter of inquiry? It is easy to deride or slur over the speculations upon which these conclusions are founded, and, by confident assertions, which appear by their very confidence to claim for those who use them an exclusive title to common sense, to make out that the whole question is one which can be disposed of in a few words, and which requires nothing more than the use of particular shrewdness for its solution. This is a great mistake. The solution of such questions will never be practically satisfactory, and will often work most intolerable wrong unless those who preside over their decision have a real grasp of the principles on which their solution must depend. This introduces the question of evidence. On what grounds ought we to infer that a man is insensible to the ordinary principles of thought and conduct, that this insensibility is caused by disease, and that it is great enough to prevent him from managing his person or his affairs? To this, as to all other questions of evidence, no precise answer can be given. On what evidence ought a jury to believe that a man picked a pocket, or committed a forgery? It is impossible to go beyond generalities, but this may be said,—they will never decide the question satisfactorily unless they know clearly what it is that they are to decide. The foregoing observations lay the foundation for some observations on this point. The difficulty with which a jury on a Commission of Lunacy have to contend, is that they are deciding, not as common-sense scepticism is in the habit of saying, a question of degree, but a question of kind, which is very easily represented as a question of degree. The external conduct of a madman, a fool, and a desperate villain, have many features of resemblance, but the state of the three men's minds is as different as possible; and what the jury have to say is, which of three causes, any one of which may have produced a given result, did in fact produce it. One great assistance in discharging this duty is to consider where the burden of proof lies. It is almost always on those who allege madness. If a man commits what is prima facie a crime, he is presumed to be sane, and must prove himself mad before he can escape. If it is desired to deprive a man of his property and freedom, those who wish to do so must prove him mad, and he need prove nothing at all unless he chooses to do so. In order to prove madness, it is necessary not only to show conduct consistent with madness, but also to go farther, and show conduct inconsistent with sanity. If this is done, subsidiary evidence becomes superfluous. If it is not done, it is impertinent. In most cases, therefore, an enormous mass of evidence usually produced on such occasions is in reality altogether beside the mark. The question always is, whether the man's principles of thought and conduct were the same with those of other people. This question is hardly affected by showing that his practice was peculiar. For example: a man makes wildly extravagant presents to his mistress. No doubt that is consistent with madness; but it is also consistent with mere weakness. He is guilty of shameless indecency and blackguardism. The same remark applies to that. Nine-tenths of the evidence given in the disgusting case which was recently paraded before the public for nearly a month falls under exactly the same principle. The conduct imputed to the miserable creature whose infirmities so long disgusted all the newspaper readers in the kingdom was like the conduct of a madman, but it did not in itself prove madness. The limits of folly and bad manners are almost immeasurable, and almost all that Mr. Windham did was what any ill-bred and ill-conducted youth might do, and what scores of such youths have done a thousand times before. Clear proof of a single well-marked delusion, or of downright insensibility to any of the principles by which good men and bad, wise men and fools, all govern their conduct more or less skilfully and consistently, would have outweighed ten times as much evidence as was actually given, immeasurable as it was in amount. The evidence which is thus required as to the character of the conduct of a supposed lunatic is only one step towards completing the case. It is necessary to go further, and to show that bodily disease is the cause of it. Even when, by the application of the principle just explained, the relevancy of the evidence given has been sifted, when so much of it as is really irrelevant has been rejected, it may still be a most difficult question whether the residue which is relevant is to be taken as proof of madness or merely of hardened wickedness. Madness is, in all probability, a specific disease, which deranges in some unknown way those functions of the body by which the mind acts and communicates its thoughts to other minds. What that specific disease is, no one knows. Suppose, for the sake merely of illustration, and in order to use definite terms, that it is an obscure inflammation of the brain, or of some part of it, and substitute for the word "madness" the words " obscure inflammation of the brain." The questions to be answered will then be as follows: Whether A B is incapable of managing his affairs, by reason of an insensibility to the common principles of human nature produced by an obscure inflammation of the brain? The evidence is that A B does, in fact, mismanage all his affairs, and that he does so because his conduct has no reference at all to those elementary principles of prudence and morals which men in general recognize—good men as their judges, bad men as principles which are in point of fact established, and which mast in various ways be recognized and respected. The question still undecided, and on which the jury have to pronounce, is whether this state of things is caused by obscure inflammation of the brain? If it is, the man is to be found a lunatic. If not, not. The difficulty of the case is twofold. In the first place the elementary principles of prudence and morals, though no doubt real, are ill-defined. No one has ever yet succeeded in giving a perfectly satisfactory account of them. In the next place, the very existence of the obscure inflammation of the brain is an open question:—its effects are very imperfectly understood; its nature is not understood at all, and the results which it is supposed to produce may generally be referred in whole or in part to other causes. In short, the question which the jury have to try is whether an indefinite effect has been produced by a hypothetical cause; and there is, of course, a strong temptation to say that such a question is altogether insoluble, and ought not to be tried at all, or at least not by such a body. Such a result is simply intolerable. Commissions of Lunacy there must be, for lunatics cannot be left at large, and no one who knows anything of the administration of justice, and of the crotchets and bias of skilled witnesses, would ever listen for an instant to the proposal to put the liberty and property of suspected lunatics at the mercy of a set of mad doctors. Either they would shut up every one who was extravagant and vicious, or else they would fall into radical dissension, each man standing up for his own theory. In either case, the security to the public would be utterly destroyed. Who would refer a point of doctrine to a jury of divines? Dr. Lushington's decision on the orthodoxy of the Essays and Reviews is sure to command respect, whatever it may be; but if the bishops were, allowed to judge of heresy, they would either condemn without mercy, or fight between themselves like Kilkenny cats. The difficulty, then, is a real one. It must be dealt with, and it must be dealt with by an unprofessional tribunal of some sort. How are they to deal with it? They must deal with it under the disadvantages which the imperfect state of science at present imposes. They must give to a great many persons whom there are strong grounds to conjecture to be more or less under the influence of the specific disease called madness, whatever that may be, the benefit of a doubt. That is the real result of the whole inquiry; but it is a result which cannot possibly be reached if the public get inoculated with the notion that madness is a mere question of degree; that a madman is nothing else than a person who is in a minority of one; and that if strict justice had been done, Shakspeare, Milton, and Newton, would have each been confined in Bedlam, for having thoughts which occurred to no one else before them. It is, no doubt, a consequence from this that a considerable number of persons, whom it might be very proper to put into a lunatic asylum, will be allowed to squander their money and pester their friends and society at large with their folly and vice; but this is an unavoidable evil. It is part of the price which we pay for our individual liberty, and after all, it is not a very heavy one, and it is one which the growth of science will certainly diminish and possibly will ultimately remove. Suppose, for example, that in the course of time the specific nature of madness should be discovered, and symptoms should be detected affording an infallible test of its existence. Assume, for the sake of illustration, that it could be shown to demonstration that madness is caused by some morbid condition of the spinal marrow, and suppose it were also shown that wherever that condition existed a certain mark was produced on the finger nails. Then, when the question was whether a man was unable, or merely unwilling, to manage his affairs properly, the question would be settled at once by the inspection of his hands. Of course there is no sort of reason to suppose that any test of the sort will ever be discovered; but there is every reason to hope that the notions of scientific men on the subject will become more fixed and definite as time goes on and well-digested experience accumulates; and it is not impossible that they may ultimately be able to speak with as much confidence of the existence of madness in a particular case, and of the degree in which it has interfered with the mental processes of the person affected, as they can show at present in speaking of scarlet-fever or small-pox, or in discriminating between weakness and delirium. Till that is the case it is hopeless to try to make an obscure question clear and easy by devising new modes of discussion. The defect is not in the definition, or rather description of madness, nor in the tribunal which is to decide it, but in the evidence by which its existence is to be proved. Where evidence is capable of several constructions people must do as well as they can, but no rearrangement of their modes of decision will enable them to give satisfactory judgments in all cases. The last matter to be considered in reference to Commissions of Lunacy is their expense. The monstrous costliness of the Windham inquiry has not unnaturally attracted great attention, and it is said with much plausibility that such inquiries are like the famous case of the oyster, in which the plaintiff recovered one shell and the defendant the other, whilst the lawyers absorbed the contents. There is some truth in this, but there is a great deal of error, and it is an error which is greatly aggravated by the hasty, noisy way in which the real difficulties of the matter are pooh-poohed by those who speak of madness as a question of degree, and of eccentricity as being "unquestionably" a mild form of madness. The expenses consist of three main items,—counsel's fees, the expenses of witnesses, and the attorneys' bills. As to the counsel's fees, it is a mere question of supply and demand. It is said, that in the Windham case, an eminent member of the bar was offered a fee of 500 guineas, with refreshers of 50 guineas a-day during the inquiry, and that he refused to take it on the ground that it was not worth his while. If a man chooses to employ highly skilled labour, he must pay the market price for it. There are scores of barristers who would have joyfully accepted a tenth part of the sums mentioned, and it was a question for the parties concerned, and for them alone, whether they would make the one offer or the other. As to the expenses of witnesses, the same remark applies. If a doctor in large practice is to be brought 100 miles from his home and his patients, and to be imprisoned for a fortnight or three weeks in a wretched court for the purpose of saying that Mr. Windham slobbered, of course he must be paid for it. If those who set the inquiry on foot think such a piece of evidence worth such a price, that is a matter exclusively for them. If a man likes to light his candles with bank notes, the bank will be much obliged to him, and nobody except himself will be any the worse. With regard to the attorneys' bills, the case is even stronger: they are subject to taxation by public officers appointed for that purpose, who are perfectly competent to see whether the charges made really represent work done. It must be added, that the expense of such proceedings is a matter of absolute indifference to the public at large. If Mr. Windham's estates were swallowed up by an earthquake, no doubt the English nation would be a great loser; but if the £250,000, which they are said to be worth, is cut up into slices of £500 and £1,000, and handed round to a number of barristers, attorneys, doctors, railway guards, and others, the operation might possibly be for the public advantage. It certainly would not diminish the national wealth. There are plenty of country gentlemen in the world, and if the Windham family should lose that honourable position, the English nation would survive the loss. The real truth—and it is a truth which people are wonderfully slow to grasp—is that the expense of litigation under our present system depends almost entirely on the litigants. As far as the public are concerned, the administration of justice is nearly gratuitous. If a man chooses to conduct his own cause—if he-calls no witnesses and employs no attorney—he may try an action without paying more than two or three pounds. Few men, of course, have the necessary leisure, knowledge, and confidence, to do this, and they have accordingly to pay those whose business it is to act for them, but just in the same way they pay the doctor, and (but for the Established Church) would have to pay the clergyman; and the rate of payment depends, like the price of all other commodities, upon supply and demand. No doubt if the inquiry into a man's sanity were conducted, not by those who are interested in maintaining or in contesting it, but by the public, at the public expense, it might be done far more cheaply; but such a course of conduct would be utterly at variance with the fundamental principles of the administration of justice in this country. In every department of the law our maxim is, Vigilantibus, non dormientibus, leges subserviunt. Law is private war. A man who wants to bring an action must bring it for himself; even if he wishes to prosecute a criminal he must do it for himself. There is no public officer to do it for him. To deprive a man of the right of defending his own liberty and properly in his own way and by his own agents, would be, and be felt to be, a monstrous act of tyranny; and if he is allowed to do so at all, he must be allowed to do so as expensively as he pleases. It has been asked how is the matter managed with paupers, and why should there be one law for the rich and another for the poor? The answer is, that the most wretched pauper in England may, if he pleases, demand that his insanity shall be established before a jury, just like Mr. Windham, but that as it is seldom worth while to lock him up, unless he is mad beyond all possibility of dispute, it hardly ever is worth his while to make the demand. Of course these observations are subject to qualification as to details. The court has already some power over the costs of the inquiry. It might, perhaps, be advantageously trusted with more. There would be no difficulty or impropriety in giving a somewhat stringent and peremptory discretion to the Master as to the propriety of calling particular witnesses. He might be allowed to say, 'Whatever may be the result of the cause, you who have called this witness must pay for him, and not the other side.' How far he has that power at present, and how it might be enlarged, are questions of technical detail unsuited for these pages.